We love working with innovative clients! Levinsohn Textile had a line of colorful, two-sided pillow covers for pet beds called Add-A-Pillow™ Pet Bed. They asked us to come up with a package design which would visually show the customer how the product works. The bright green belly band shows the elements in a visual math equation running across the top and at the same time holds back a corner of the product to show the fleece backing. 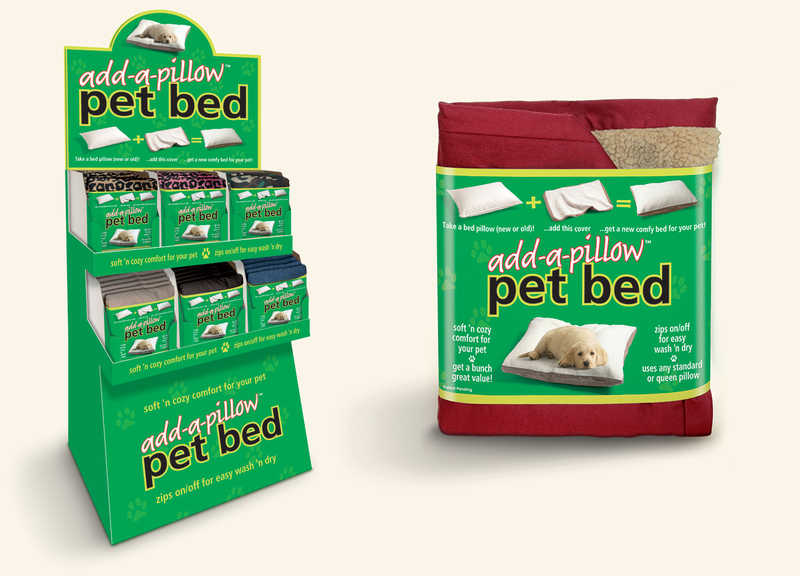 We also designed a freestanding Add-a-Pillow™ pet bed product display. The quickest way to get started with us? Request a Quote!